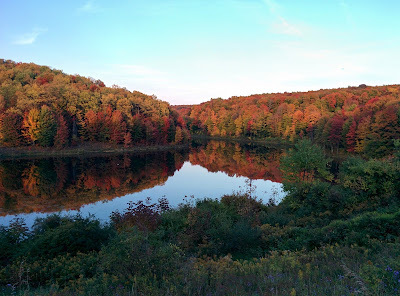 EAST OTTO -- Western New York has four beautiful seasons, each capable of creating dazzling displays of photo-worthy color and texture -- but the vibrant reds and oranges of the changing leaves in the fall might be best of all. While much of Western New York has yet to hit peak season for fall foliage, Cattaraugus County is at its peak right now, according to the ILoveNY.com fall foliage report. And let me tell you, having spent the weekend down there, it's a must-see. 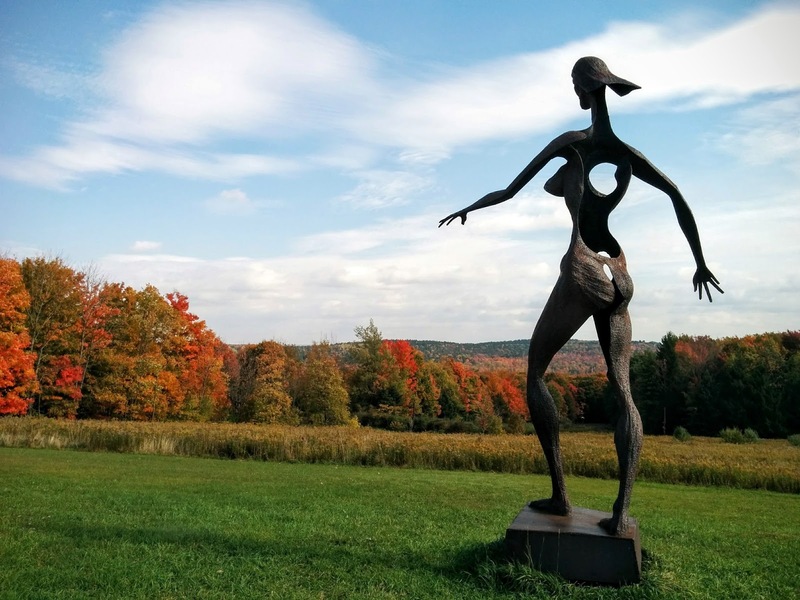 From the serenity at Griffis Sculpture Park in Ashford Hollow to the bustling streets of Ellicottville, it's a good time to get out of the city and enjoy what's available just a bit south of the Buffalo metro center. For those unfamiliar with the Griffis Sculpture Park, it's 450 acres of rolling parkland with some very ... unique ... sculptures, many of which were created by the park's namesake, Larry Griffis Jr. I had the privilege of going there once or twice in my youth while the family camped at what was then Rainbow Lake (now Allegany Mountain Resort at Rainbow Lake). I've popped down every few years since then and finally made it this past weekend (after two failed attempts this year). It seems bigger than I remember. I'm told there's good reason for that. A representative for the sculpture park told me that it has grown "exponentially" and that many sculptures have been added within the last 10-15 years. Additionally, the park has taken to offering different events, hosting SlyFest in 2012 and 2015, as well as other festivals and "Night Lights" the past few years. Of the 250 sculptures located throughout the park, approximately 100 of them were created by Griffis Jr., who opened the park in 1966 as the first park of its kind in the U.S. The rest were created by as many as 100 other sculptors including several that were added by an international sculpture symposium. The Griffis Sculpture Park is open from dawn to dusk from May 1 to Oct. 31. +Scott Leffler is editor of All WNY News and an avid lover of the arts. Follow him on Twitter @scottleffler.